If exfoliating is a cult, we are definitely the leader. In fact, we’ve been known to use everything from coffee grinds to brown sugar in order to slough off dead skin and clear out clogged pores. So when we got our paws on a bottle of Lierac Paris Micro-Abrasion Stimulating Smoothing Cream, we hopped in the shower to give it a test run. 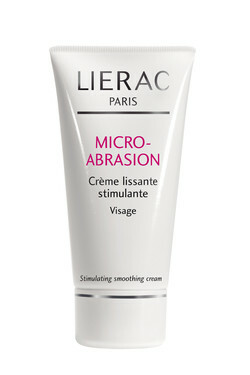 Despite being referred to as a face cream, Lierac’s Micro-Abrasion is really a face scrub that is rinsed off after massaging gently for two minutes. Composed of alumina crystals for deep exfoliating (heavier scrubs can’t light a candle to these), Lierac’s smoothing cream is specifically designed for dull skin that’s lost its luster due to everyday life. We lathered it on after a thorough cleansing, and loved how smooth our face felt afterwards. If your pores are a problem like ours, we bet you’ll feel the same. For more information, visit www.lierac-usa.com. Micro-Abrasion retails for $38 per 2.25 oz bottle.